At Puget Sound Abatement, we extend asbestos removal services for residential and commercial buildings. As leading asbestos abatement contractors, we maintain all resources necessary to complete asbestos removal jobs to perfection. Our asbestos removal team comprises highly skilled and experienced technicians. 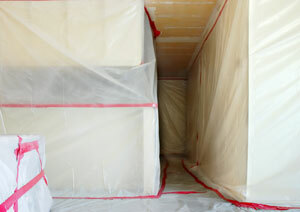 The asbestos removal project managers working with us come trained in project management, hazmat and job safety courses. We use excavators, bulldozers, dump trailers and cranes to carry out neat, seamless asbestos removal. We apply advanced, proven and safe asbestos removal techniques. Our knowledgeable staff addresses all your asbestos removal concerns in a friendly and reassuring manner. We strive to provide everything that you need and expect from the asbestos abatement contractors you engage for asbestos removal in your home or business place. 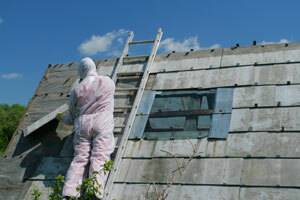 Why Are Asbestos Abatement Contractors Necessary? Demolishing or renovating of your building without calling in asbestos abatement contractors can compromise you legally and have far-reaching, harmful impact on the health of inhabitants and neighbors. While there is no denying the necessity of asbestos abatement contractors, it is equally important to ensure hiring the right professionals. An ideal option would be asbestos abatement contractors like us who offer the perfect combination of quality, professionalism and affordability. As customer-oriented asbestos abatement contractors, we focus on extending unmatched asbestos removal services at unbeatable prices. Besides asbestos removal, we also specialize in lead removal. Exposure to lead can cause brain and blood disorders, birth defects and many other problems. We help reduce such risks with timely lead removal before demolition/remodeling. Our lead and asbestos abatement contractors are available 24/7 to handle emergency lead removal and asbestos control requirements. 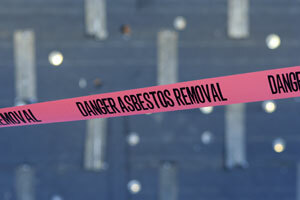 Keep safe with the asbestos removal and lead removal services of Puget Sound Abatement. Call our lead and asbestos abatement contractors at (425) 336-0611.